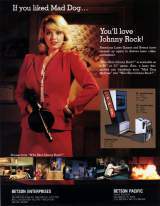 Arcade Video Game published 28 years ago by American Laser Games, Inc.
Who Shot Johnny Rock? © 1991 American Laser Games. 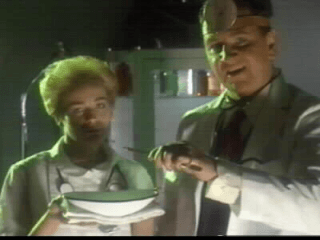 You play a private detective trying to solve one of your toughest cases. Singer / performer, Johnny Rock, was murdered and it's up to you to bring the killer to justice. 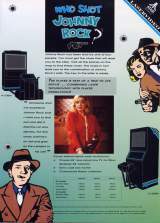 You must travel around the city to gather clues, while taking care of any gangsters that get in your way. In one scene, there's a building sign for a place called 'Grebe's'. This is actually a reference to Robert Grebe who's the founder of American Laser Games.